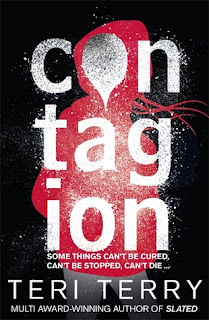 I loved reading the first in this series of Teri Terry's new series of books, Contagion last year, (press here to see my review: http://busybeasbook.blogspot.co.uk/2017/08/review-contagion-by-teri-terry.html), so I was delighted when Teri gave me an advanced copy of the sequel Deception to read and review! 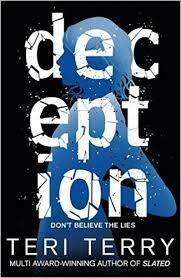 Deception is a thrilling book with loads of plot twists and an amazing adventure that will keep you gripped even after you have finished it. When Shay betrays Kia, and disappears without telling him, he refuses to give up. Meanwhile, Callie sticks beside Kai, and when they finally come face to face with other survivors, she feels at home after not being able to communicate with her brother for so long, yet Kai isn’t comfortable with these new survivors accessing his thoughts and secrets. This is an amazing book, and I cannot wait for book three. If you are into faced-paced, unexpected twists and a fun story then this is the book for you! One of my favourite books and I highly recommend it for its unique superiority! I CAN'T WAIT for book three! I LOVE deception but along with all the surprises in the plot, Teri further surprised me by naming one of the characters after me (and another after my little brother!). This was mega-amazing, and I feel so lucky and honoured. THANK YOU SO MUCH TERI! January is the 200th Birthday of Mary Shelley's Frankenstein, and as a teenage girl writer I really admire Mary who was only nineteen when the book was published in 1818, and so I have reviewed the book as a Birthday Celebration! My battered copy of Frankenstein! Captain Robert Walton was trying to reach the North Pole, when he met Victor Frankenstein: The Creator. Frankenstein, ill from the terrible cold, has been welcomed upon Walton’s ship where he reveals his past and the story of ‘The Monster.’ Frankenstein shows his private world of creating the creature and shows how his mistakes had led to him to be sick with worry, for how had he let his masterpiece escape? After endless search and disastrous help, he reveals word of his brother, William, who had been murdered! More crimes committed towards his family, forced him to face his creation, but The Monster reveals that there is more to him than meets the eye. Is everything Victor hears true? Or is this even the Monsters real story, and why does he end up in the North Pole almost dead? Frankenstein is a fantastic book full of creative twists and turns written by the young author Mary Shelley. Brilliant old English, that starts off tough but pushes you into the story and will never let you out. I couldn’t put it down and thought it was one of the best books I have ever read! Me outside Albion House where Mary finshed writing Frankenstein! 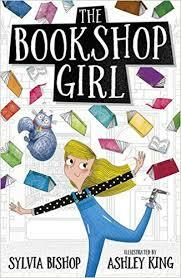 My last book review was of the Bookshop Girl by Sylvia Bishop about a girl who lives in an extraordinary bookshop. I sadly don’t live in a bookshop, but I do love them and would like to work in one, I am luckily enough to have helped out at my Mum’s friends bookshop a few times, and it was great. Here is a bit about one of these times, where I helped out at Mostly Books in Abingdon when it was owned by Mark and Nicki Thornton. This event was in August 2016, and was to celebrate the publication of another famous picture book character Hugless Douglas books, by illustrator and writer David Melling. Before the event there was lots of preparation, I helped by doing a number of tasks; I put some newly arrived books out on the shelf, this may seem easy but you need to put it on the right shelf, which means you have to get the right age group, subject and put it in alphabetical order of the authors last name. The next thing I did was put up a BFG display. After that I checked to see if there were any books missing off the shelves, and found them out of storage and put them out in the right place. So who gave me the jobs? Mark and Nicki, (who started Mostly books and owned it up until earlier this year) they told me what to do, and how to do it, plus explained why each job was done in a specific way. There is much more to working in a bookshop, than selling book, it is complicated and interesting! Very soon the event started, and the shop was full of excited children (and there parents) David Melling was there as was Hugless Douglas himself! David did some drawings and Mark read some stories to the children. Next it was hugs, with Hugless Douglas himself and I took the photographs! I also helped to do craft work with the children, explaining how to do the crafts, and demonstrating, I also put the pieces up on display in the window. After all the children were gone, there was the huge job of clearing up, and making the shop look perfect again. The whole thing lasted from 9am until 5pm, I helped from 11am until 4pm, I was very tried at the end but I loved it! Property Jones was found in cupboard in The White Hart Bookshop, but when Netty and Michael Jones found her and took her in, she hid a massive secret. For what’s the point in living in a bookshop when you can’t read? Property wasn’t too sure, but when the Joneses won the Montgomery Book Emporium in a huge raffle, Property realised there was more to life than not being able to read and she must save her family before it’s too late. Bookshop girl is a brilliant read for middle grade and people of all ages who ever dreamt of living in an almost magical Bookshop. Once my story was published by Storytime, I was asked to do a visit to my local Library in Beaconsfield and do two school talks, where I would explain the process of being published and read my story. The Library, at Beaconsfield, was extremely fun, young children came with their parents and I read them my story with a group of cuddly animals as props. When I had finished reading my story, I took some questions, (mainly from the adults), and then I went on to do crafts with the young children! The school events were a bit longer and had a lot more children of different ages. 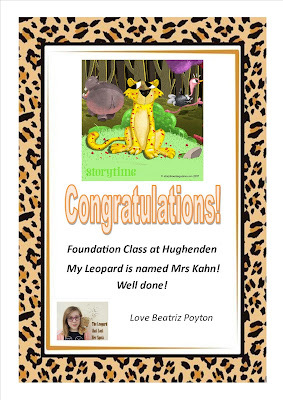 In the first school, Hughenden Primary, I went to every class for twenty minutes, but before I did this my story was read out by my Aunt (who is also the foundation class teacher), to the whole school in assembly, with a PowerPoint of the magazine running so everyone could see the amazing illustrations. The younger years were really enthusiastic, and in foundation we did crafts and activities, like at the Library! 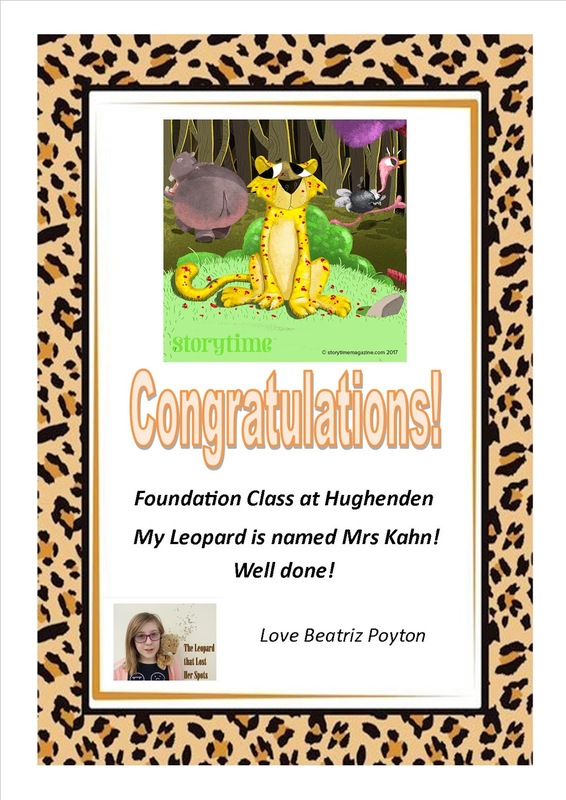 Also at the Foundation I challenged them to name the Leopard from my story, they chose a name and I presented them with a naming certificate, which they all liked. From years 1, 2 and 3, I took questions and opinions, which were all really interesting and unique. The last three classes were slightly more complex, as they were older. 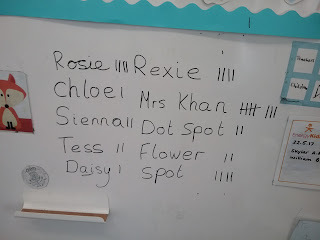 Year 5 even interviewed me! At the other school, Curzon C of E Primary School, also my Primary School, I did classes 2 and 5. 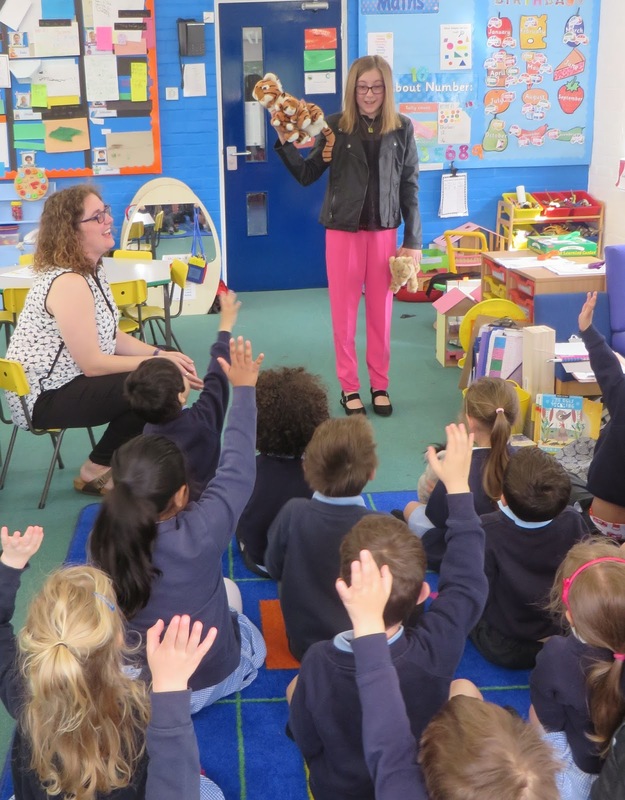 Much like Hughenden, the younger class was very enthusiastic and enjoyed the teddies as well as the story (which I read to them). 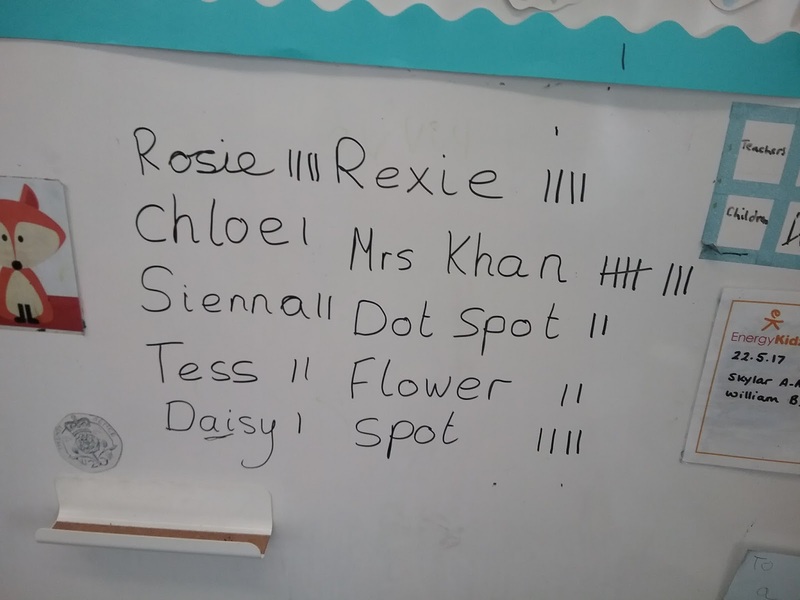 Class 5 questioned me after being read the story, they questions were very interesting and I had to take a while to think about some of them. I loved doing these events and would happily do it again, if I was given the chance!!! Some of the Thank You cards from the children. Callie has been missing for almost a year now and her brother Kai, is thinking the worst and giving up on hope. Suddenly, Shay, a teenage girl from another part of Scotland, shines light onto the case, for she saw Callie just before she disappeared. Together Kai and Shay set out to find Callie, on the way they run into a treacherous flu and uncover secrets that may just change everything. As they get ever closer to the truth, Kai and Shay's relationship strengthens bringing them much needed hope in times of horror, whilst they try to save Scotland. Is it possible for Shay and Kai to escape the flu alive, find the cure and missing Callie before it’s too late? Contagion is an amazing book. It grasped me by the throat and wouldn’t let me go until I had devoured every word. The dramatic last chapter leaves you hanging at the end; I am so excited for book two! This is one of my most favourite books and it brought so many emotions in huge waves. I really enjoyed reading it, and everyone deserves to read such an exciting book! I recommend this for YA readers. Getting a story published is an extremely exciting experience, as many writers would probably agree. But it can take a very long time, especially for a novel. My story is short but contains all the information it needs as well as extra detail. My story was not like it is now when I first wrote it, in fact, many things changed, all because of the editing process. Editing your book is the most important thing and once you have done edits yourself, your editor: the person that is trying to help you publish your story, will come up with more things to help you improve it. My editor, Maxine, was really helpful and pointed out mistakes I had made. This can seem a bit cruel or disheartening, but Maxine was really kind and she improved my story for the better. The editing process can take up to years for many books, and for myself, it took a few months, as it is a shorter story. Next, getting published. The best part for me! You will have had a deadline for your editing to be completed, as a couple of months after will be the time your story will be open to the public. 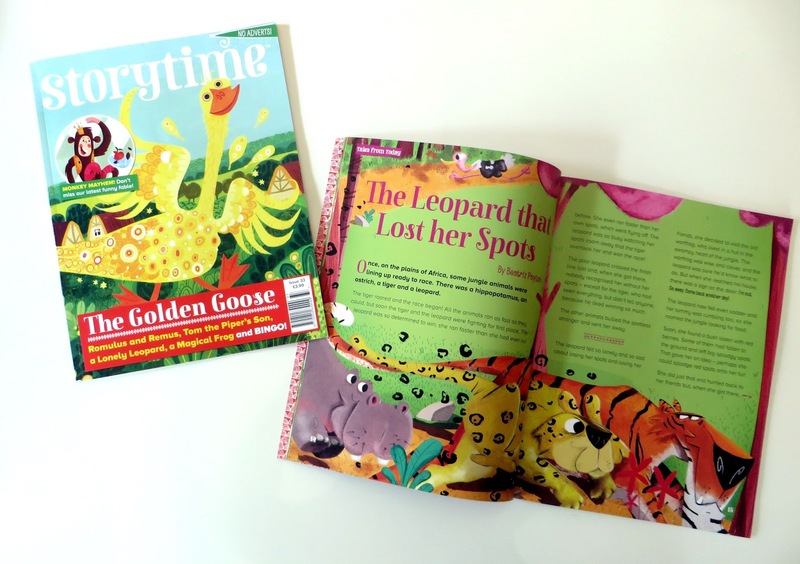 With my story, I had to wait for 2-3 months and then my story was published in the May 2017 edition of Storytime, which is subscription based children's magazine, but you can buy back copies by visiting there website. Although this may seem slightly complicated, I first wrote my story for the 500 words competition. I happily got down into the last 2,000 of the 90,000 entries of that year, and when I didn’t get through any further, I thought that if I can get down to the last 2,000 in the 500 words competition, I am going to try to get published, and that’s what I did! When my story came out, I was so excited to see it in print with the beautiful illustrations by the Brazilian artist, Junior Caramez. I loved sharing the story with my friends and family and also with children at local primary schools and my local library events, which I hope you will come back to read more on in my next blog!! I'm thirteen years old, i am lucky enough to have seen one of my stories in print. This is this my blog about writing, books and other things I love!